Is this how your teams respond to conflict? Wouldn’t it be better if they could become more comfortable, adept and productive in conflict situations? 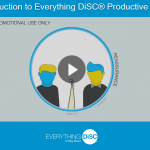 Productive Conflict is the newest tool in the Everything DiSC® suite of resources. It offers highly personalized content to increase self-awareness around conflict behaviors and skills for effectively responding to conflict situations. 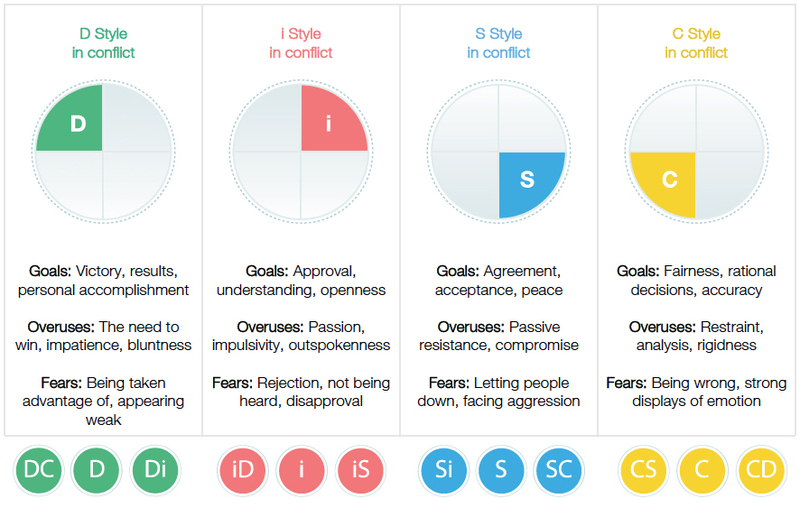 Personal profile report has in-depth, personalized information with techniques to improve self awareness and use more productive conflict behaviors. Boost skills with a 1/2-day workshop for a mixed group of employees or an intact or project team. Coming soon – Facilitation kit with scripted modular sessions, experiential activities, customizable slides and a menu of video clips.